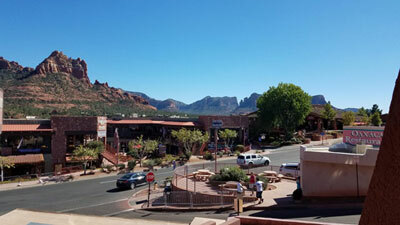 There are a myriad of exciting, relaxing, intriguing and enriching things to do in Sedona, from hiking the red rocks, playing a game of golf, browsing the many art galleries and shops, enjoying an incredible meal or lounging the day away in a spa, Sedona is an excellent leisure destination. Founded in 1902, Sedona is in the heart of Arizona’s Red Rock Country, and is an exciting, vibrant community with easy access to many unique natural and historic sites, including the Grand Canyon and Jerome, AZ—the largest ghost town in America. Outdoor activities abound in the area, including jeep tours, hiking, horseback riding, biking, tennis and golf year round. If cultural activities are high on your priority list, then you might enjoy events like Jazz on the Rocks, the Sedona Arts Festival, Sculpture Walk, Flagstaff Symphony Pops Concert and the Sedona International Film Festival. The Matterhorn Inn, with a prime location in uptown Sedona, offers convenience, comfort and breathtaking views, all at budget-friendly rates, and is situated within walking distance to great dining, shopping and attractions. Whether you’re in town on a family vacation, weekend getaway or with a group, you’ll love how our excellent service and thoughtful amenities set us apart. Sedona not only offers astounding natural beauty, it is also home to a thriving arts and culture scene, with art galleries, historical attractions, museums and art festivals that will enrich and inspire. 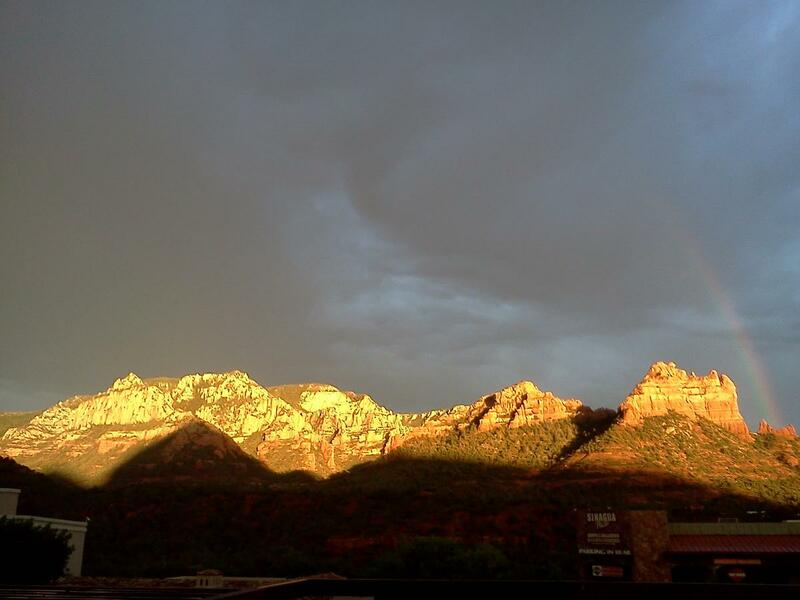 The Matterhorn Inn, located in uptown Sedona, is just steps from many of the best artistic attractions in the city, and our panoramic red rock views, spacious accommodations and exemplary service make your visit to Sedona even more enjoyable. After a day of browsing the galleries or attending the Plein Air Festival, return to the Matterhorn for a swim in our solar-heated outdoor swimming pool, or enjoy a relaxing chat on your private balcony overlooking the red rocks while the sun sets. 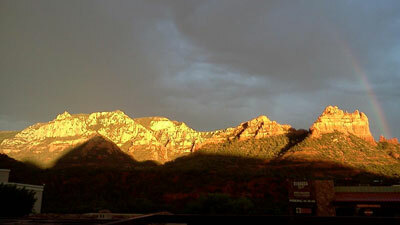 For more information about or recommendations for the best Sedona galleries, please contact us at 800-372-8207. We can also answer any questions you may have about our hotel’s accommodations and amenities near the Sedona Arts Festival. One the first Friday of each month, from 5:00 – 8:00 p.m., members of the Sedona Gallery Association offer a unique monthly showcase highlighting artists, special exhibits, and art events. These special art receptions give locals and Sedona visitors alike the opportunity to enjoy light refreshments while beginning their weekends with an exploration of Sedona’s exciting art scene. For your convenience, the Sedona Trolley provides free transportation to venture from art gallery to art gallery. 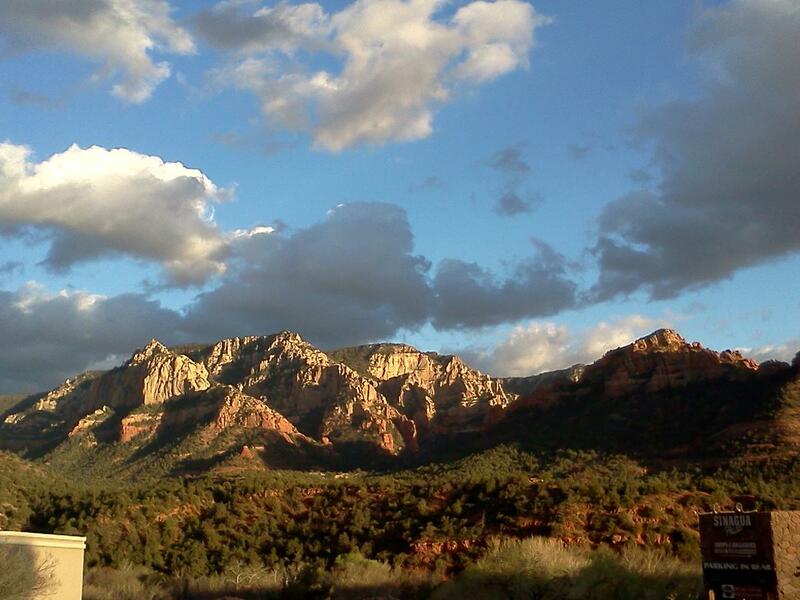 There are a multitude of both invigorating and relaxing outdoor activities in Sedona only minutes from the Matterhorn Inn in uptown Sedona, Arizona. Our premier Sedona hotel, near hiking, fishing and swimming destinations like Slide Rock State Park, the Matterhorn offers spacious comfort with panoramic red rock mountain views close to the majesty of Sedona’s great outdoors. 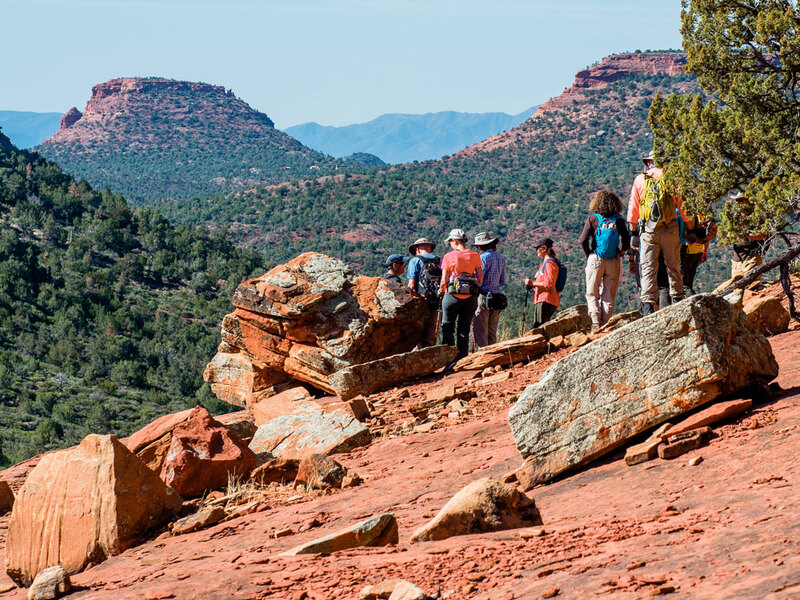 Below are just a few of the engaging activities that allow you to see the most breathtaking scenery in the southwest. 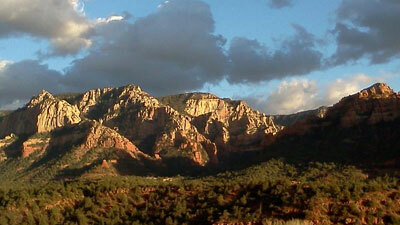 Sedona offers a multitude of air tour options from Helicopter to Bi-plane tours of our incredible scenery. Please call us for options and suggestions. Sedona is home to countless restaurants ranging from home-style Mexican and bistro classics to gourmet fare and international delights. From the most discerning palate to the biggest of appetites, Sedona is a culinary hub with everything you’re looking for. Matterhorn Inn, situated in uptown Sedona, with breathtaking panoramic views of the red rock mountains, is conveniently located within walking distance of many of the area’s best restaurants. Enjoy an evening stroll to a sensational dining spot, then meander your way back to the comfortable, spacious accommodations of our guest rooms, or enjoy an intimate conversation by our outdoor poolside fireplace. For more information about our accommodations or amenities, or about Sedona restaurants, please contact us at 928-282-7176 or toll-free at 800-372-8207. This is just a small sampling of the restaurants in Sedona. From high-end gourmet cuisine to down-home cowboy favorites, you can find whatever it is you’re craving just minutes from the Matterhorn Inn. With our convenient location in uptown Sedona, the Matterhorn Inn is within walking distance of all the best shops, specialty stores, galleries and boutiques in the area. Whether you’re looking for a hat to wear on a hike, souvenirs, art, home goods, apparel or jewelry, you’re sure to find that perfect item at centers such as the Sedona Arts Center and the Tlaquepaque Arts & Crafts Village, both just minutes from our Sedona hotel’s ideal location. No matter what your taste or budget, you’re certain to enjoy strolling the sidewalks of Sedona shopping districts, and because our hotel’s near Tlaquepaque and other Sedona shopping centers, you won’t have far to go.